The new race season is here, new bodies are being built. Get your wraps from Endless Mind Design. All designs are unique, add as much input as you want. 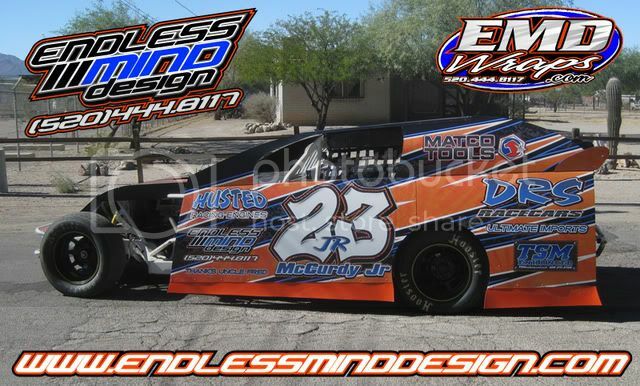 EMDwraps.com also offers: Tshirt Designs, Helmet Wraps, Banners, Hero Cards, etc. Call today to get your quote and designs started!